Streamlined and pared down, with clean lines that are pleasing to the eye, minimalist décor creates a sense of mental calm that comes from a strict aversion to clutter. Common features of the minimalist style are the use of neutral colors, color palettes restricted to only few shades, and furniture that is subdued with little to no purely decorative detail. Items are usually stored out of sight, and inconspicuously as well, which calls for cleverly discreet storage. Minimalist homes often make use of wardrobes or cabinets that blend seamlessly into walls, partitions, or other pieces of furniture. The end result is a spacious and sleek look that effectively highlights the few standout details present in the space. Austere, softly lit portraits with dark backgrounds in the style of 17th century Baroque artists Rembrandt or Diego Velazquez conform to the simplicity required by the minimalist decor style, but also add richness and texture to the sparseness of a minimalist space. 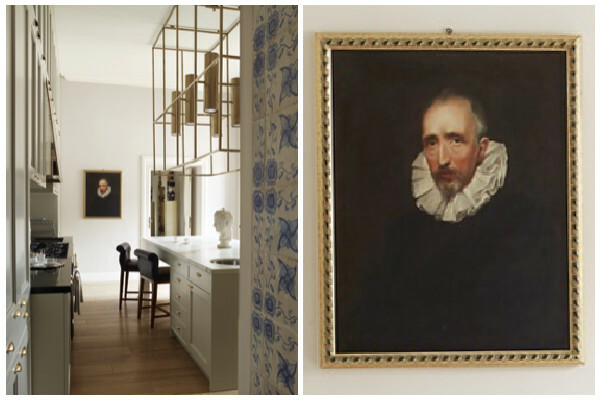 Minimalist decor comes across as very modern and sleek, so Baroque art provides a welcome contrast, bringing together the old and new. Although the elegance and romance of Baroque art can balance out the severe feel of a minimalist home, keep the number of paintings to a minimum; one or two in each room at most. Adding too many artworks to a minimalist room disrupts the clean, sweeping visual appeal of this décor style. Baroque art is especially suited to the neutral-centric color scheme of Minimalist décor, because even though it aims to depict grandeur and romance, it often does so with soft, muted shades, using contrasts between light and dark to create its signature sense of drama and tension. Accordingly, be on the lookout for paintings that share color elements with your own minimalist space, or complement the main or accent colors of the space. 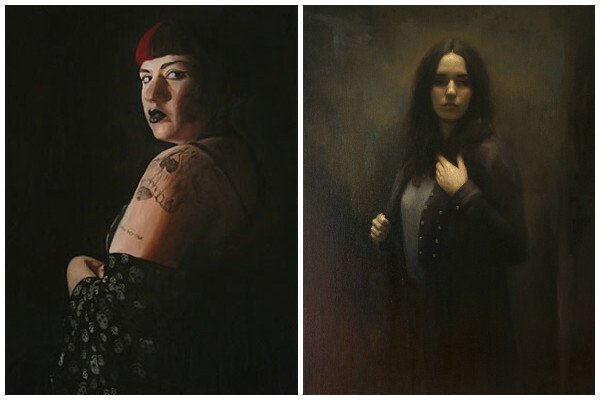 From left to right: Self Portrait with Scarf by Keight MacLean, and Through Light On by Isabel Garmon. Abstract art pieces can also complement minimalist decor spaces by introducing bold colors, geometric shapes and lines, or provocative textures. The art work can draw together accent colors that are used in the room. It can also be used as a focal point in the room, harmonizing different decor elements in a minimalist space. From top to bottom: Summer Sun by Kiki Fleming, Urbane by Nishta Sipahimalani, and Deep Blue Ocean by Mariana Maia. 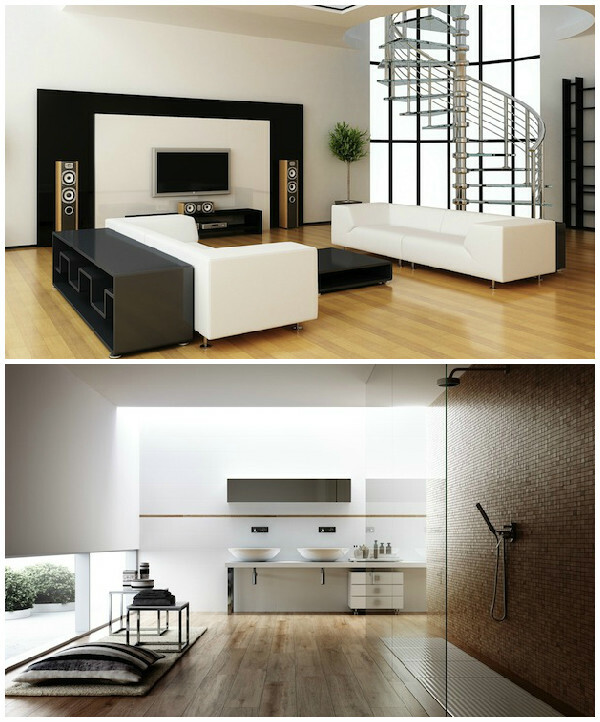 So which will be your choice for your minimalist home? Transforming the World of Art...So We Can Transform the World Through Art.